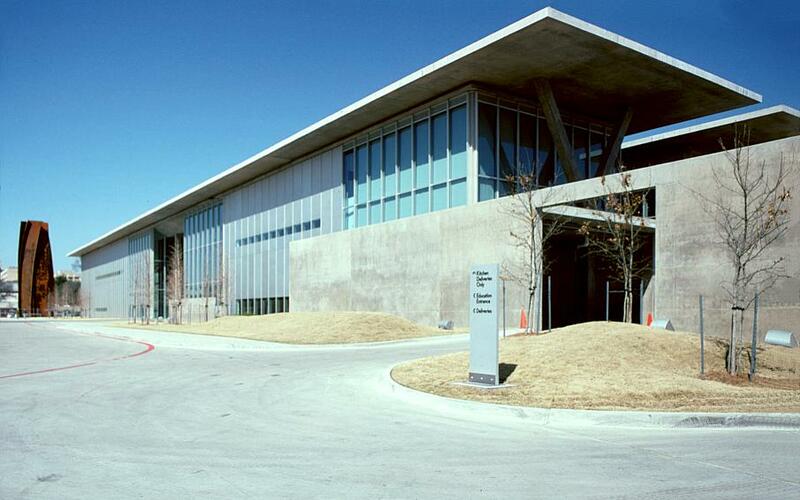 Although the Modern Art Museum of Fort Worth is the oldest museum in Texas, this new building only opened in December, 2002. 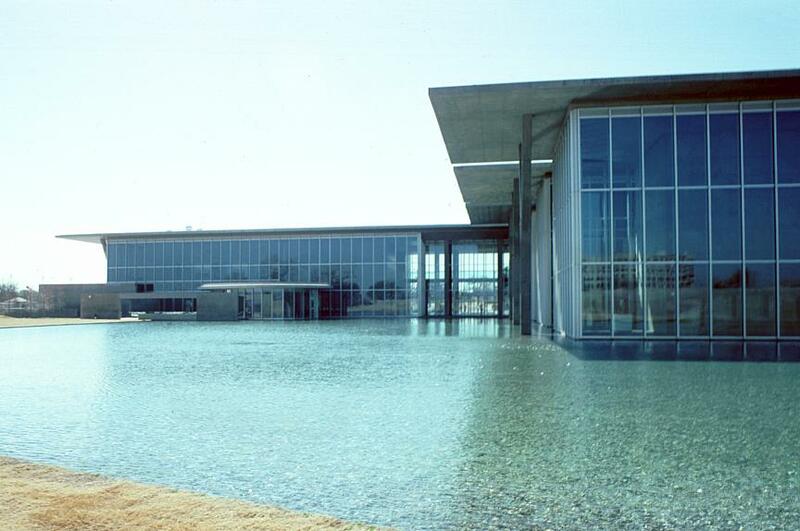 It is in a kind of museum district adjacent to the Kimbell Art Museum, designed by Louis Kahn, and down the street from the Amon Carter Museum, designed by Philip Johnson. 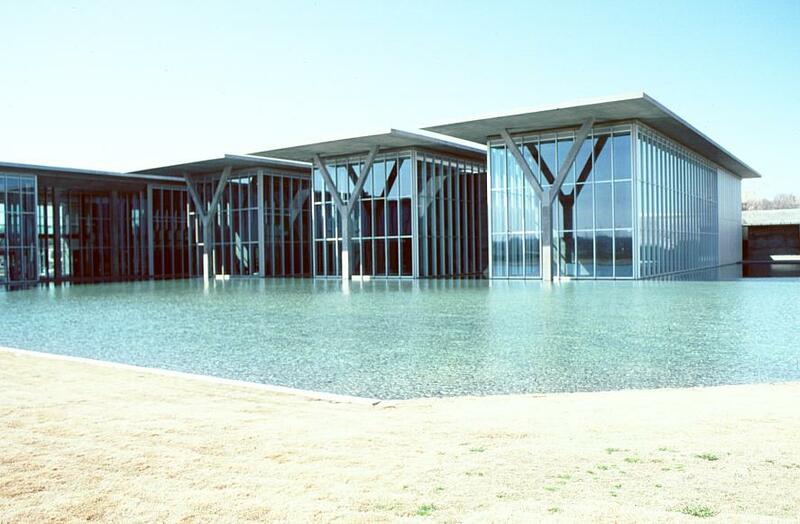 The architect Tadao Ando, recipient of the Pritzker Architecture Prize in 1995, won the international competition for this building. 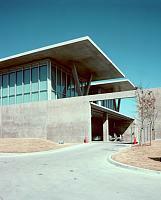 Most of his major projects are in Japan; this work represents his first large-scale work in the United States. 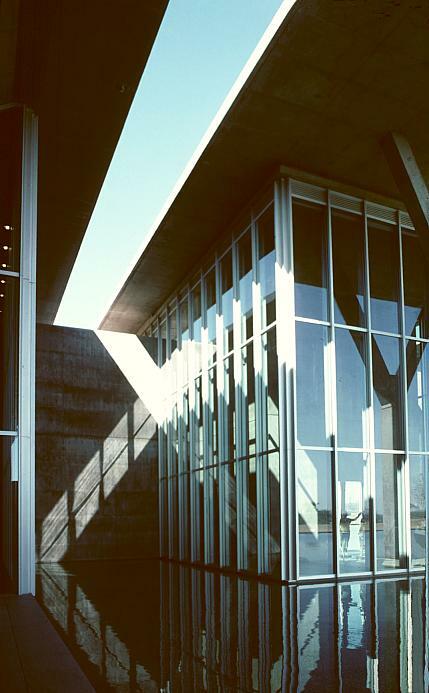 Although the building is constructed of glass, steel, and concrete, it is concrete that is Ando's signature material. 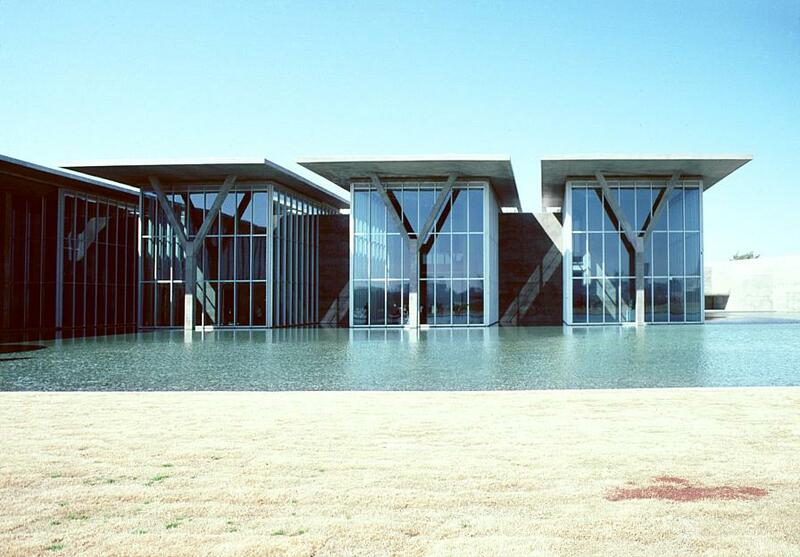 He believes it allows the architect more freedom in design so that s/he can create new forms and new kinds of spaces. 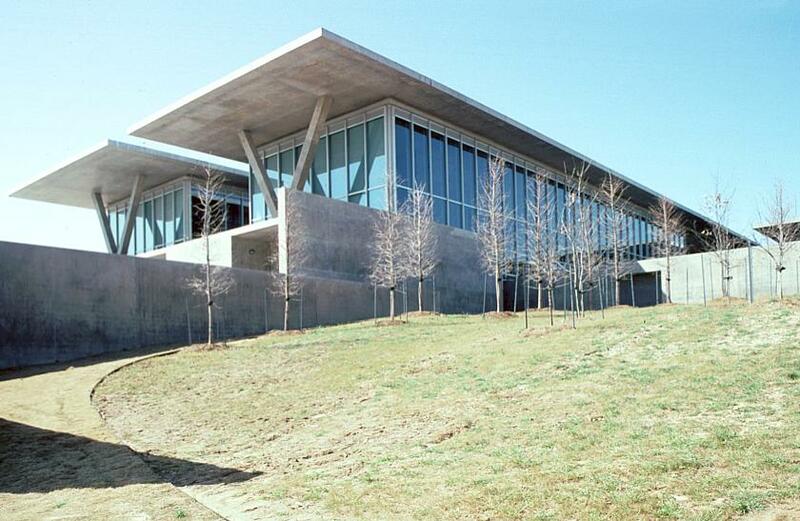 There are five rectangular blocks in a row (originally six had been planned to echo the 6 barrel-vaulted spaces of the nearby Kimbell Art Museum). 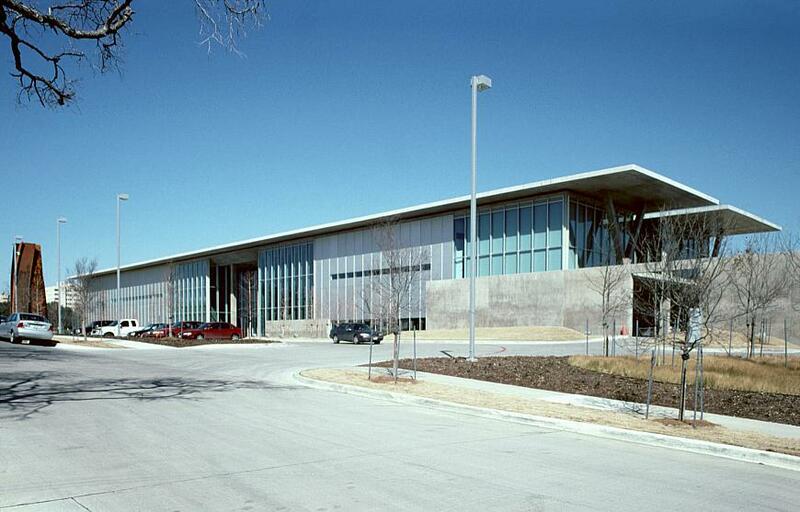 The two longer blocks, at the front, are public spaces--lobby, auditorium, museum shop, etc. 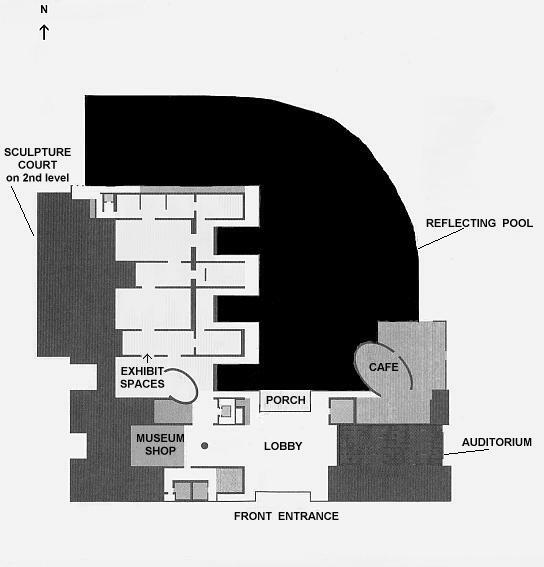 while the three shorter volumes behind them provide exhibition space. See plan. 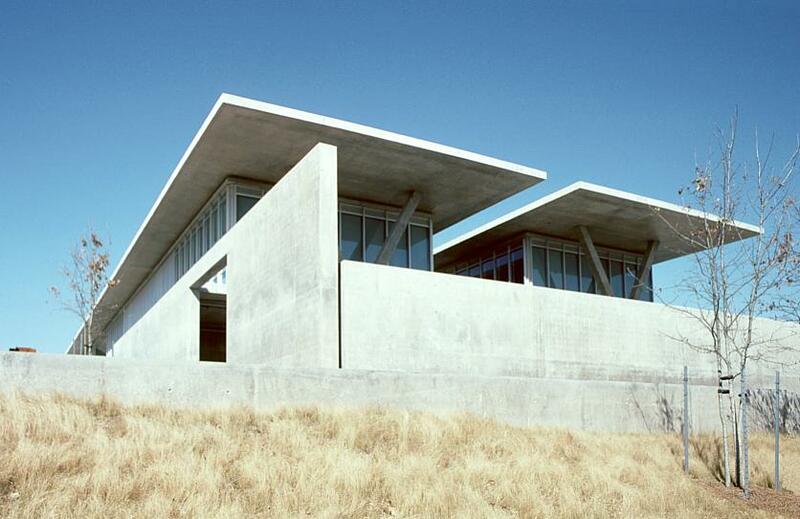 Cantilevered cast concrete roof slabs appear to be supported by Y-shaped columns of concrete. 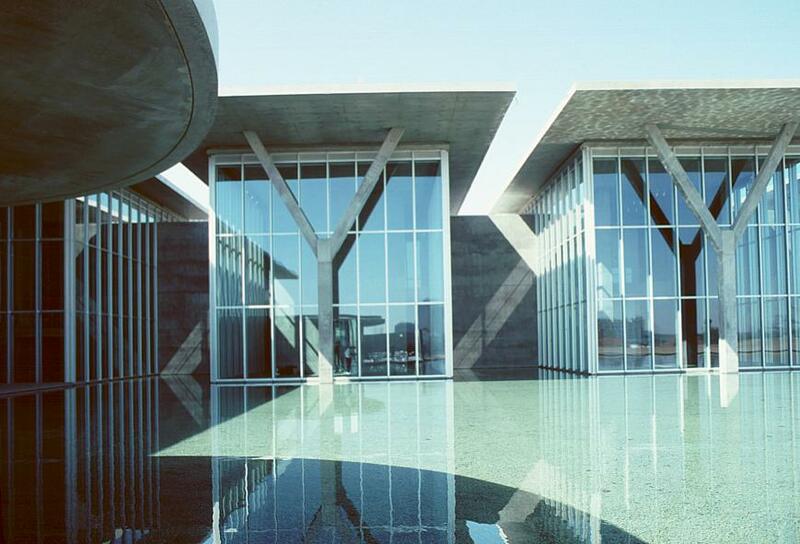 Although the overall structure has a dominant horizontality connecting the building with the landscape, these columns seem like human arms yearning upward. 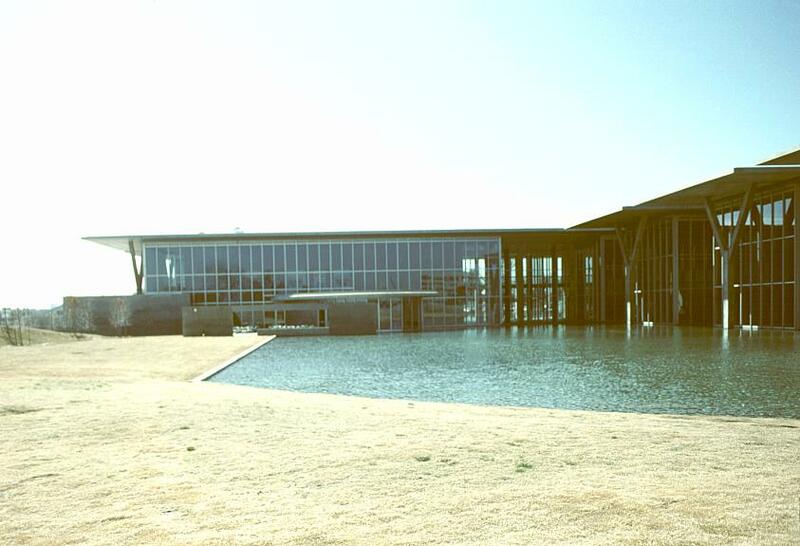 This large site (not fully landscaped at the time of these photographs) is made more serene, and even elegant (a favorite word of Ando's) by the use of the shallow reflecting pool, elliptical in form, which hugs the base of the pavilions. 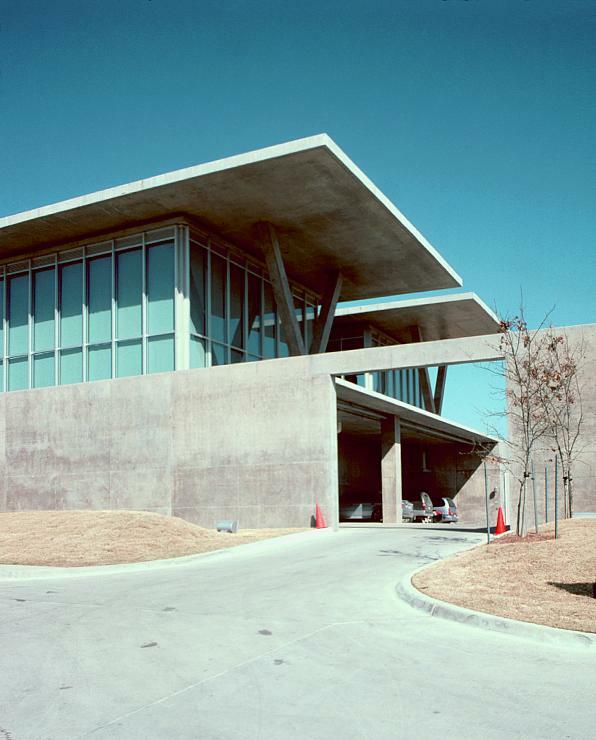 In an interview with Michael Auping, Ando explains that he imagined the museum as a swan floating on water. Unlike the usual building which stands on the ground and rises upward, this museum seems to float on the surface of the water. 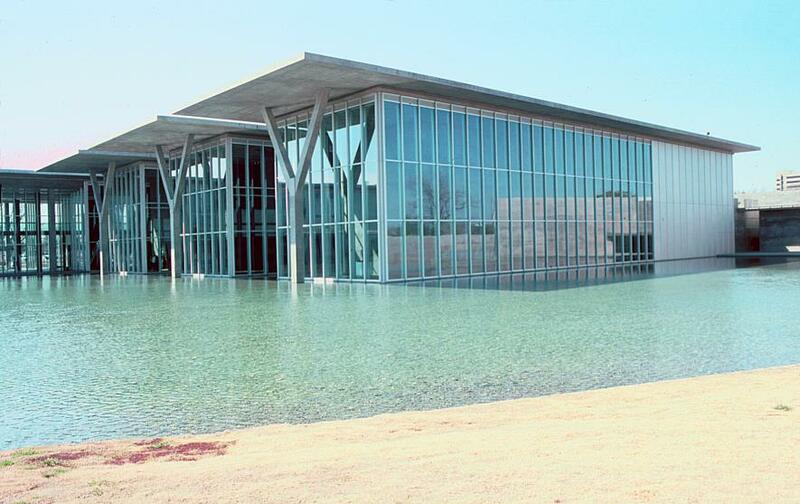 In addition, when inside, the floor of the building is not much higher than the surface of the water outside the glass walls. 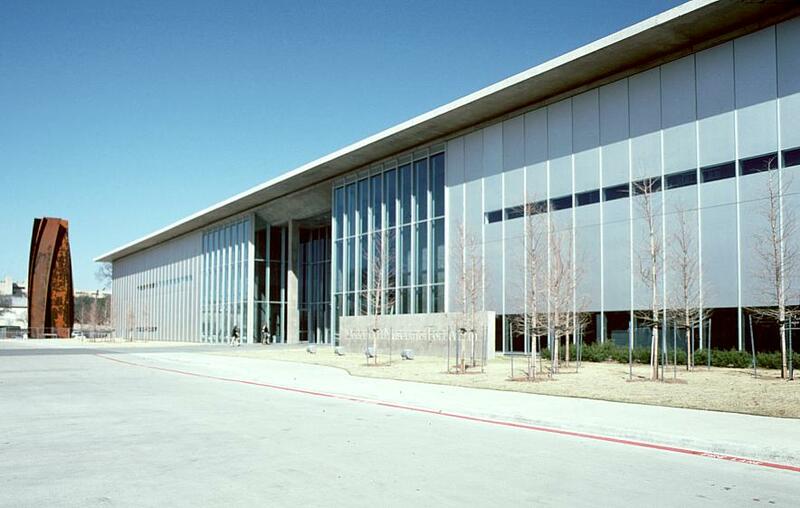 The glass walls are 40 feet high. 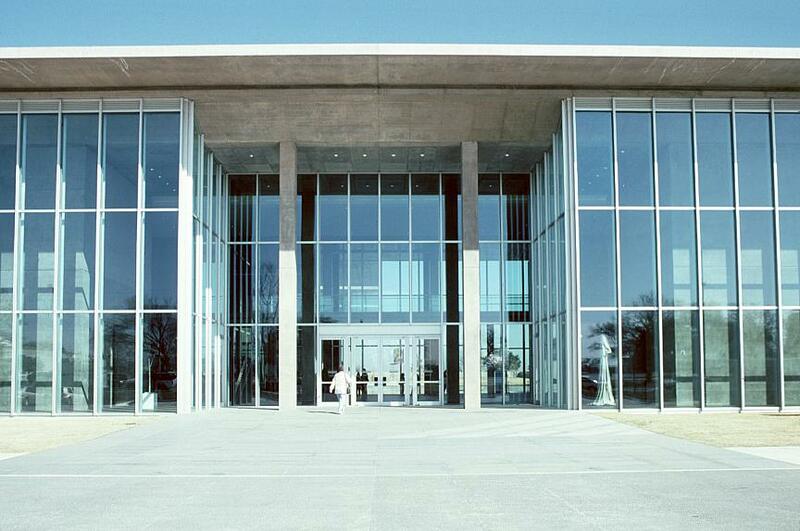 Each rectangular bay is comprised of a double structure--a concrete box, enclosed in a glass box. That is, the concrete interior core is surrounded by an "engawa" enclosed in glass. Ando explains that the "engawa" in Japanese architecture is the space between the inside and the outside. Thus boundaries between the outside and inside are reduced, if not eliminated. 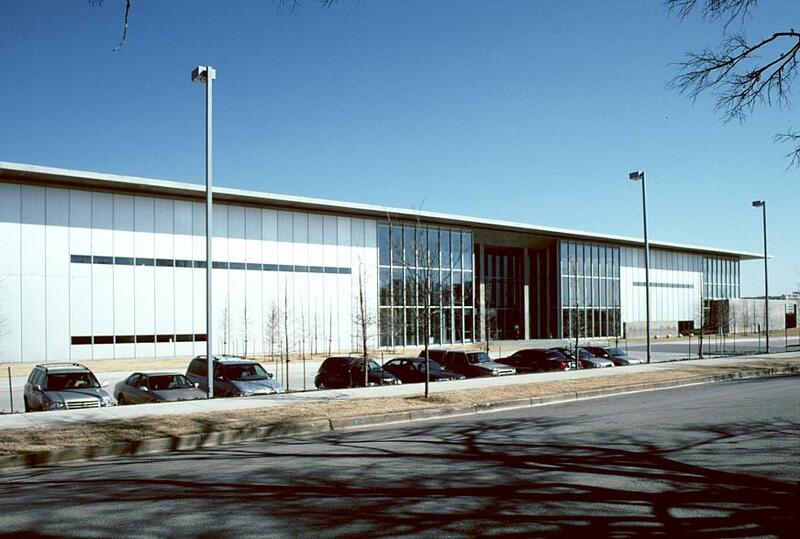 This site has no connection with the Modern Art Museum of Fort Worth. Any errors are my own. Michael Auping. 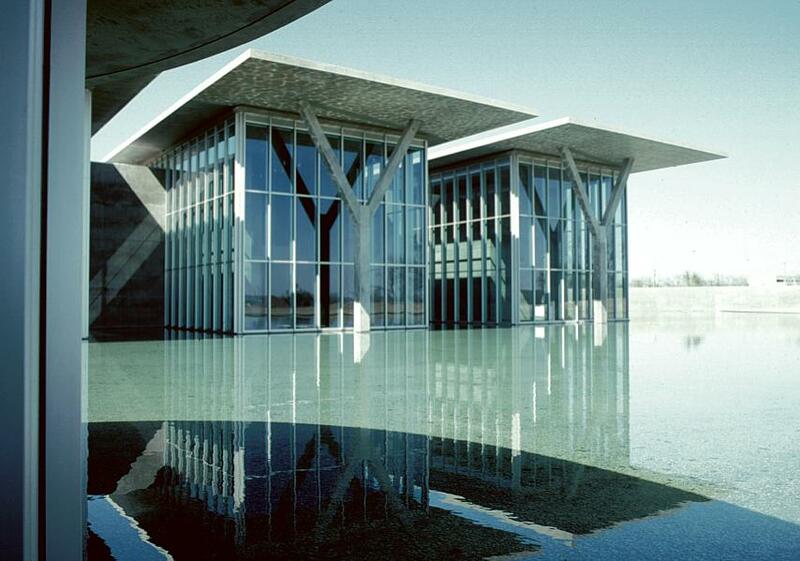 Seven interviews with Tadao Ando. 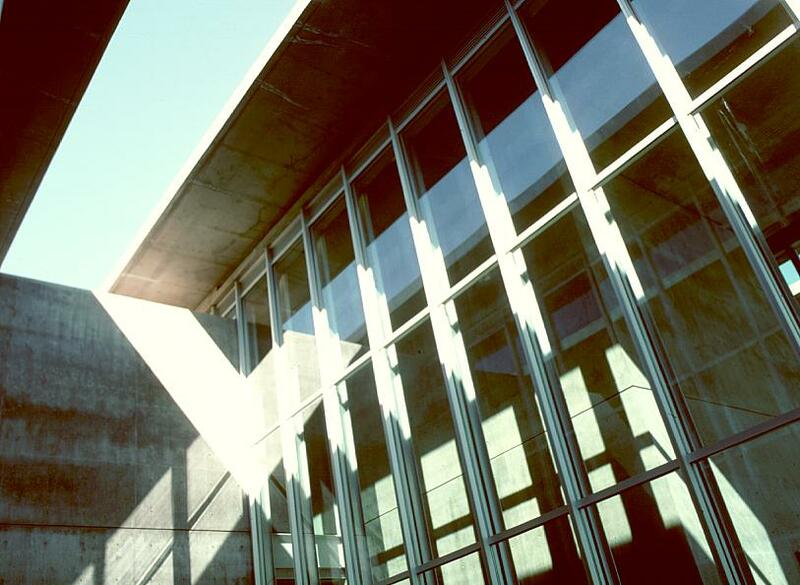 Shawlands Court, Newchapel Road, Lingfield, Surrey, UK: Modern Art Museum of Fort Worth in association with Third Millennium Publishing Limited, 2002.
a+u: Architecture and Urbanism. 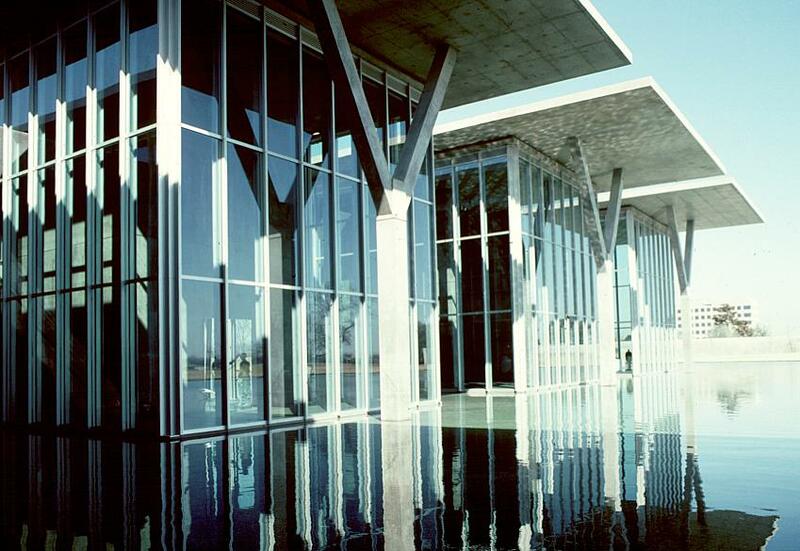 [Special issue on Tadao Ando]. 2002: 03. No. 378.